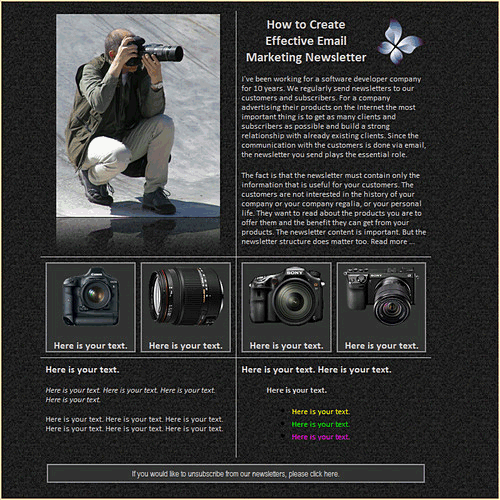 Fast Email Newsletter SenderG-Lock EasyMail makes it easy to create and send stunning email campaigns at your own computer and manage your in-house mailing list. 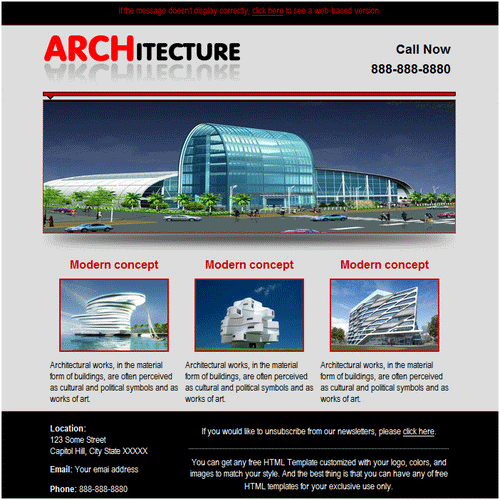 Unlimited recipients and no recurring fees! Integration with CRM databasesConnect to popular databases like MS Access, MS SQL, MySQL, Oracle and others directly from G-Lock EasyMail and send emails without importing the recipients into G-Lock EasyMail address book! 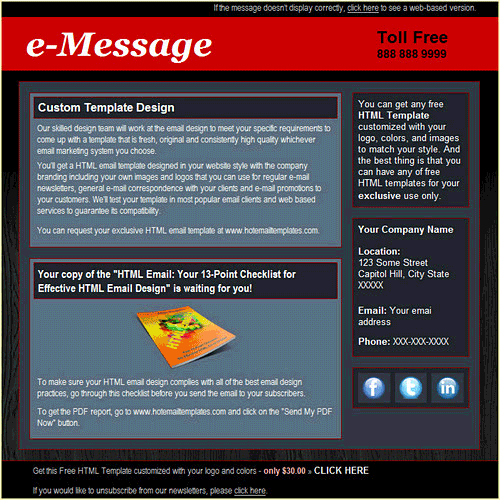 Bounce Email ProcessingEasily process bounced emails after your email campaign is complete, add them to the exclusion list or delete bounces from your groups forever. Email ThrottlingAutomatically pause and resume delivery if your ISP has limits for sending emails in terms of messages per hour, per connection, or number of connections per time period. 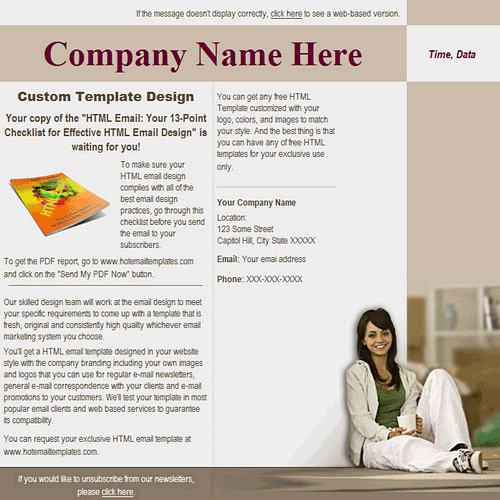 Email Campaign SchedulerGreat opportunity to send a sequence of emails to your recipients. You can set G-Lock EasyMail to send the emails at a regular time interval: hourly, daily, weekly, monthly. 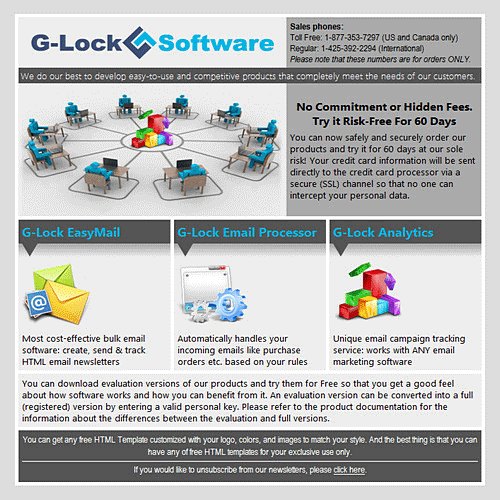 Email Personalization and PreviewMake your email look personal for each recipient by merging the recipient’s first name, last name or any other information you store in G-Lock EasyMail address book. 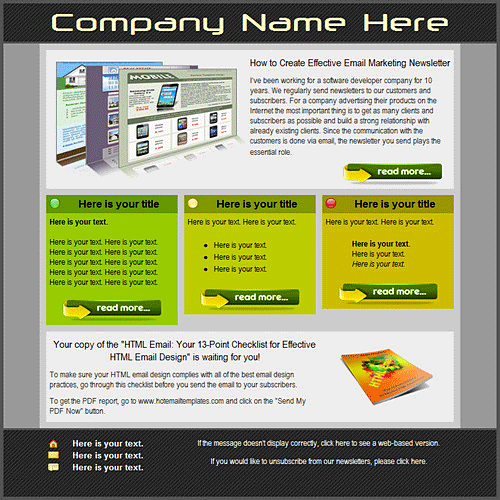 Free Newsletter PluginFree newsletter software for WordPress which allows you to gather unlimited email subscribers using a double opt-in method. 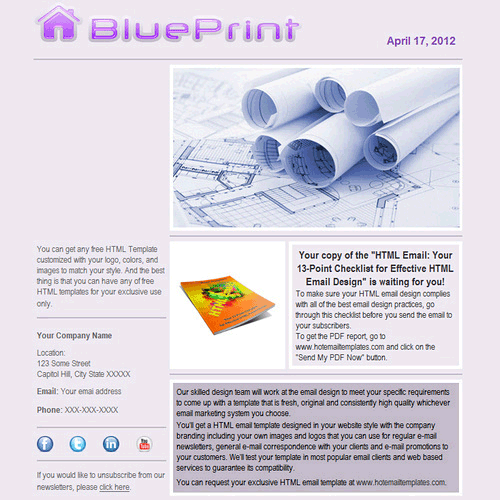 You can easily access your blog subscribers and send out your newsletters. Real Time Email TrackingGet the data you’ve never had — if your email was read, forwarded, printed, or deleted, email client usage, and much more. Collect unsubscribes directly into your analytics account. Start free email tracking now! 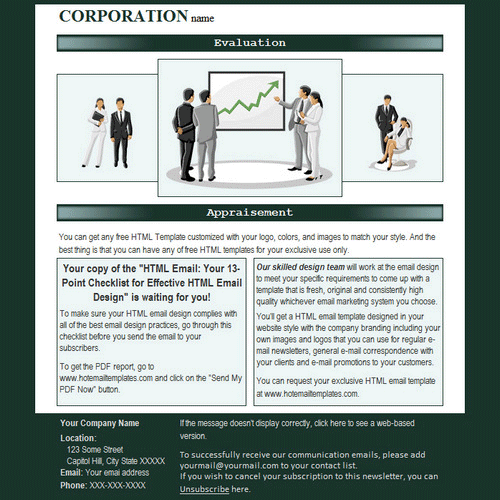 Dozens of newsletter templatesAll templates are compatible with G-Lock EasyMail and tested in major email clients. 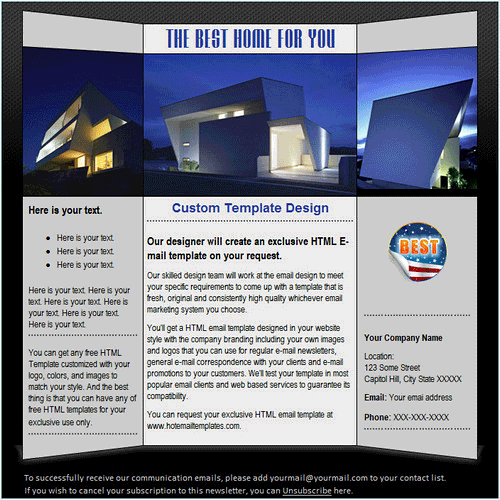 You save your time for creating a HTML email newsletter [just pick the desired template and add your content].